Find a Comedy Waiter for hire near you in minutes! Option 1. Enter your event location below & contact a Comedy Waiter directly! Option 2. Request multiple quotes from available Comedy Waiters Get Quotes! Option 3. Read information & advice on hiring Comedy Waiters Read Advice! 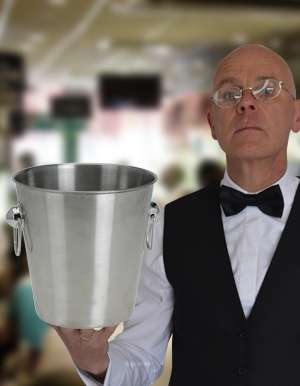 WANT TO KNOW MORE ABOUT COMEDY WAITERS? Read on for a comprehensive guide to booking a Comedy Waiter, including how much it costs, exactly what they will do at your event, plus tips, advice and information to help make your event one to remember! With a Comedy Waiter, you will get a comedian who will bring calamity and hilarity using audience participation! What exactly WILL Comedy Waiters do at your event? A Comedy Waiter is a character based comedian that will dress as a waiter or a waitress and will cause calculated chaos as they mix and mingle with your guests! They will drop plates and cutlery, spill things over themselves and will be falling over… a lot! They are a perfect dollop on light entertainment at any celebration and will bring a smile to the faces of everybody at your event whether they are children or nature adults! Mainly, they will entertain your audience with a fantastic live show that will put the wow factor into celebrations and impress your guests, whatever their entertainment tastes may be. What event types are Comedy Waiters hired for? What better entertainer to hire at your wedding drinks reception than a Comedy Waiter! The Comedy Waiter will stir things up a bit with his or her slapstick routines that will see them getting into a lot of mischief whilst your wedding drinks reception is happening. They can be hired as a mix and mingle entertainer who will move from table to table, bringing amusing pandemonium with them wherever they go! You may want to hire a Comedy Waiter to help you cut the wedding cake on your big day? A Comedy Waiter will have years of training when it comes to tomfoolery and will get things in a muddles in all in a seamless manner! Perfect for getting your wedding guests in the mood for celebration as the evening draws in! Hire a Comedy Waiter for the evening reception at your wedding and you will have a whole nights worth of entertainment! We advise to hire a Comedy Waiter in addition to your main evenings entertainment such as a Wedding Band or a Wedding DJ. The Comedy Waiter can be swerving in-between guests as making a mockery of himself or herself as they use slapstick comedy in the style of slapstick comedy greats such as Charlie Chaplin, Rowan Atkinson or Jim Carrey! A Corporate event is where a Comedy Waiter will really shine! Hire a Comedy Waiter to help launch your product! They can be hired to ‘aid’ you on stage whilst you are giving a presentation and cause absolute chaos! Your clients and guests will gasp as the unexpected mishaps unfold! This will be a brilliant ice-breaker amongst your guests! A Comedy Waiter is also money well spent at your annual work-do! Your Comedy Waiter can expected to muddle things up at your work dinner, causing havoc that your co-worker’s will not be expecting, but will find brilliant all the same! A Comedy Waiter is also a great idea for cruise ships, theatres and anywhere where they can be silly! How much do Comedy Waiters cost to hire? 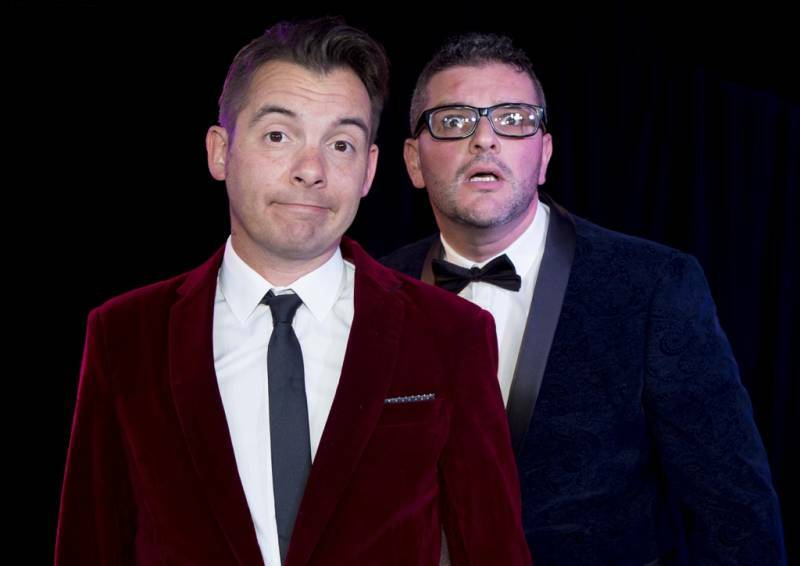 Our simple to use entertainment directory allows you to firstly search for the best Comedy Waiters who are local (or travel to your area) and then via the contact form you may message them directly to enquire for a no obligation quote to perform at your event. Some acts will also add a rough price guide to their profile for your convenience. What are the usual set formats and performance length for Comedy Waiters? Comedy Waiters can tailor their performance to times to suit you and your event, however, on average a professional Comedy Waiters will perform for two hours. How much space will a Comedy Waiter need at your event? A Comedy Waiter is a self-contained entertainer so they will not need much space when performing. The tricks and scenes they play out are very much table to table so all we ask for is enough room for them to weave in and out of the tables! What equipment and set up requirements do Comedy Waiters need? As with most artists who sign up to Entertainersworldwide.com, a Comedy Waiter will provide all of their own equipment. You may want to enquire if an artist needs a PA to amplify their sound, in which case we would advise to use our easy to use messaging service to find out. We do ask that each performer gets a backstage area in which they can prepare for the performance ahead. If your venue does not have a backstage area, then we kindly ask that you enquire with the venue to seek an alternative space in which the performer can comfortably get ready to entertain. How can you find and book a Comedy Waiter with Entertainersworldwide.com? WANT TO RECEIVE A RANGE OF QUOTES FROM Comedy Waiters?